Leica Q-P Announced, Price $4,995, Available for Pre-order ! Leica has officially announced the Q-P (Pre-order) digital camera today. Technically identical to the original “Q,” in addition to a 24MP CMOS sensor and a fixed, 28mm f/1.7 Summilux ASPH lens, the new Leica Q-P sports a flat black paint finish that makes it less obvious when out shooting on the street. In place of the red dot logo common to many Leica products, the Q-P features the Leica name, which is discreetly engraved and detailed with white paint on the top plate. Improvements over the original Leica Q include an improved shutter release button and On/Off switch. 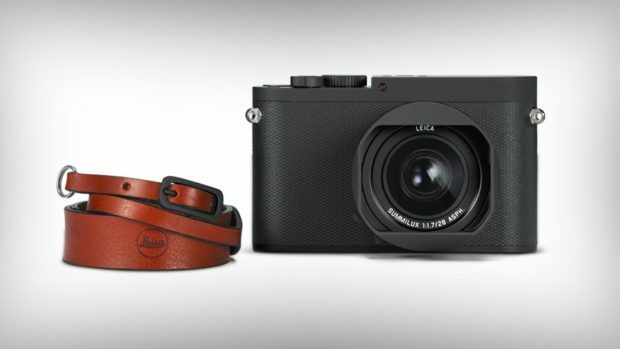 A dedicated brown leather strap and two rechargeable batteries are included with every camera. The US Price for Leica Q-P is $4,995.00, now available for pre-order at B&H Photo Video. Where to Pre-Order and Buy New Leica M ? Next Next post: Olympus OM-D E-M1X Can Shoot 80MP HandHeld High Resolution Images !